Mr. Sobek is our Managing Partner. He is a senior accident analyst at Wolf Technical Services, Inc. in Indianapolis, IN. He holds a B.A. degree in Physics from Thiel College, Greenville, Pennsylvania and has additional training at UCLA and Purdue University. He is a licensed Professional Engineer in Indiana and has appeared over 120 times in courts in the United States and Canada. Prior to joining Wolf Technical Services, Mr. Sobek worked for 20 years as a Research Physicist and Electrical Engineer at the Naval Avionics Center, Indianapolis, developing missile guidance systems. He is a co-patent holder on the Digital Scene Matching Area Correlator (DSMAC), the precision electro-optical guidance system currently used on the U.S. Navy's Tomahawk cruise missile . The patent was awarded for his development of much of the optical hardware and aerial image processing technology currently used in that system. In August 2007, in response to numerous requests from the forensic engineering community, Mr. Sobek formed Clearly Visible Presentations, LLC. The mission of the company is to teach the principles and techniques of optics, lighting, visibility and digital photography to technical professionals world-wide. Mr. Chambers teaches digital photography and image analysis for Clearly Visible Presentations. He is a civil engineer for Wolf Technical Services, Inc. Mr. Chambers holds a Bachelor of Science degree from the United States Military Academy and a Masters in Business Administration from Indiana University. He is a registered Professional Engineer in Indiana, Missouri and Kentucky. Mr. Chambers has over 30 years’ experience in construction management and engineering design. 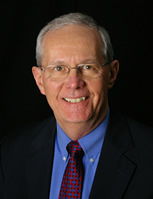 His specialties include evaluation of highway design and highway construction zone issues; building construction evaluation and consultation; construction and building failure analysis; building code and standards compliance; evaluation of construction claims; construction site accidents; and other civil engineering and construction related issues. In his work, he uses digital photography and image processing programs to document incident sites and extract information from digital images received from clients.